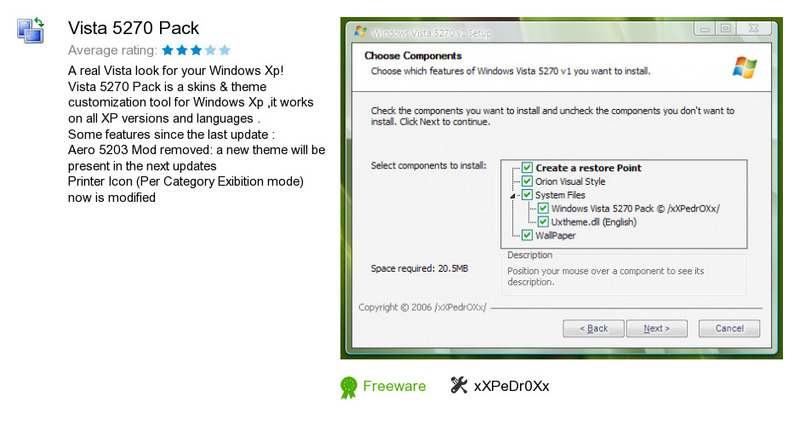 Vista 5270 Pack is a software product developed by xXPeDr0Xx. We know of version 1.1. Version 1.1 is available for free download at our site. Vista 5270 Pack installation package has a size of 20,831,134 bytes. As xXPeDr0Xx says: A real Vista look for your Windows Xp!